Ashley Edwards is the office manager of Mebane Vision Center. Originally from Poquoson, Virginia in the Tidewater region, Ashley has worked in industries as varied as aircraft carrier design, childcare, graphic design, and construction. 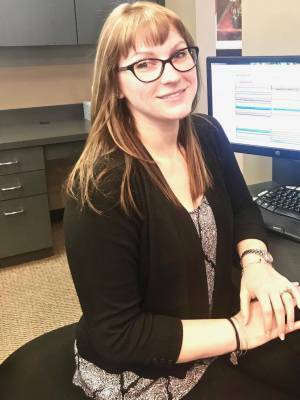 Ashley also has several years of experience in the eye care field where she worked in patient care and has gained extensive knowledge in insurance. In her spare time, Ashley coaches cheerleading, has a love of dinosaurs, enjoys science fiction and reading a good book.